So far in this book we have been concerned with static patterns. As humans, we may also recognize patterns of movement such as walking and trotting of horses. 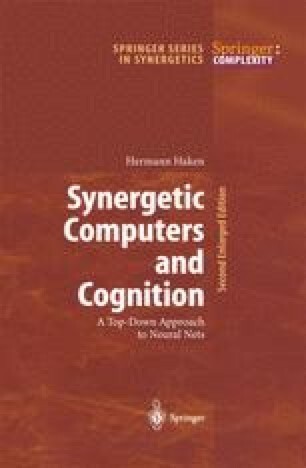 This leads us to ask whether movement patterns can also be recognized by the synergetic computer.